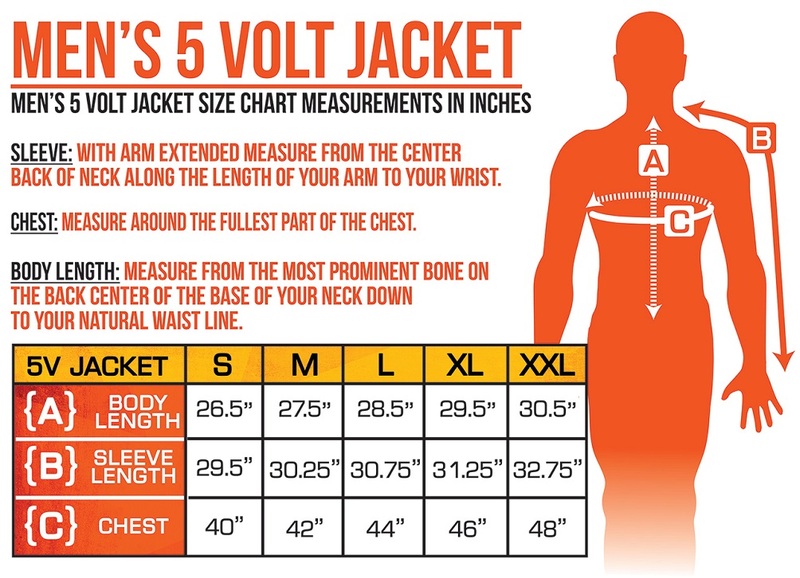 Note this Jacket Style Runs Smaller than standard sizing. The ActionHeat insulated puffer jacket is the perfect blend of fashion and utility. You can now look stylish while staying warm and cozy in all conditions. ActionHeat jackets come with a super powerful ActionHeat 5-Volt 6000maH Power Bank. This power bank powers your garment and can also charge your phone, tablet, or any USB charged device. Note: Heating times will diminish if used to charge other devices. 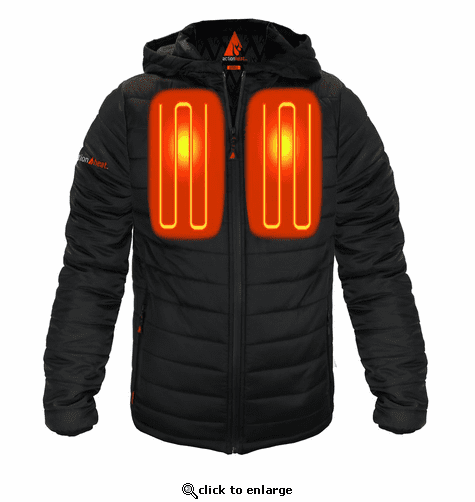 A one-touch LED button with 3 different heat settings, Low, Medium, and High, provides easy heat controls on the jacket. The insulated puffer jacket has a detachable hood to protect during extreme weather conditions.